Say howdy to your guests by bringing a the a bit of the Old West to your next party or event. There's no better way to celebrate entertainment in the Valley than by including one of these authentic cowboy acts. Your guests will believe they're experiencing high noon in an old 1880s Wild West town. 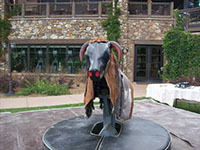 Celebrate the Old West saloon with the addition of this mechanical bull to your event. Your guests are guaranteed to take a wild ride and have a memorable time with this exciting and crowd-pleasing favorite. 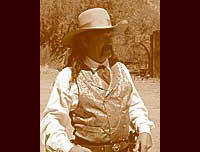 Add a bit of the authentic Old West to your next event with the addition of costumed gunfighters. These enthusiastic and experienced entertainers will make your guests believe they've just witnessed the gunfight at the OK Corral all over again. A great addition to any Western themed dinner or social event.